I love how the quilting lines make new four-patch designs. Free pattern available here with a lot of other cute ideas. Off to put a pork roast in the crockpot and sew some more! Cute! I love the cheery polka dots and stripes. Stay warm! 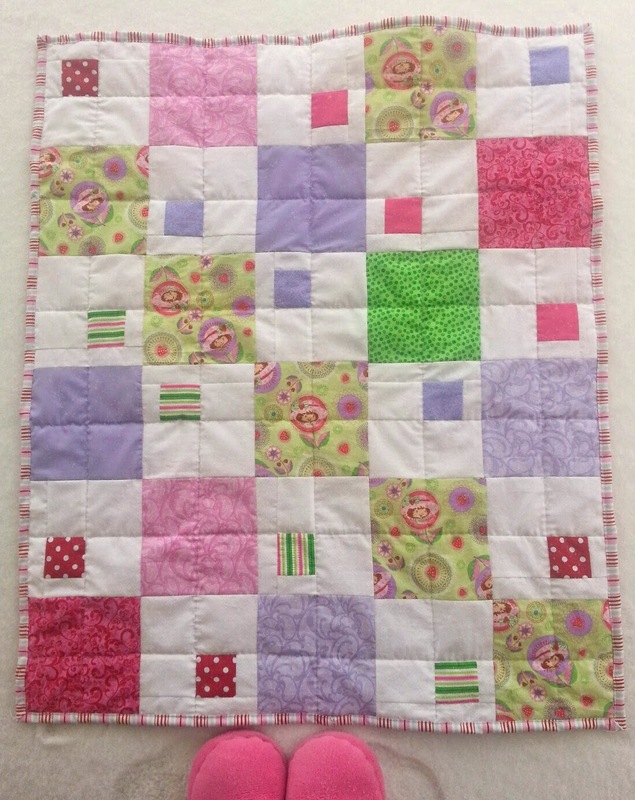 That is a CUTE quilt and thank goodness for crock pots--they make sewing days guilt-free! Very graphic, the quilting really adds to that feel. Love the soft colors too. Very pretty! I love the binding fabric you chose. This little blog is about some of my favorite things, like Grace Livingston Hill books and quilting, but also about fun little things I come across through the day. April is Autism Awareness month. Please be especially kind to and patient with people with Autism.